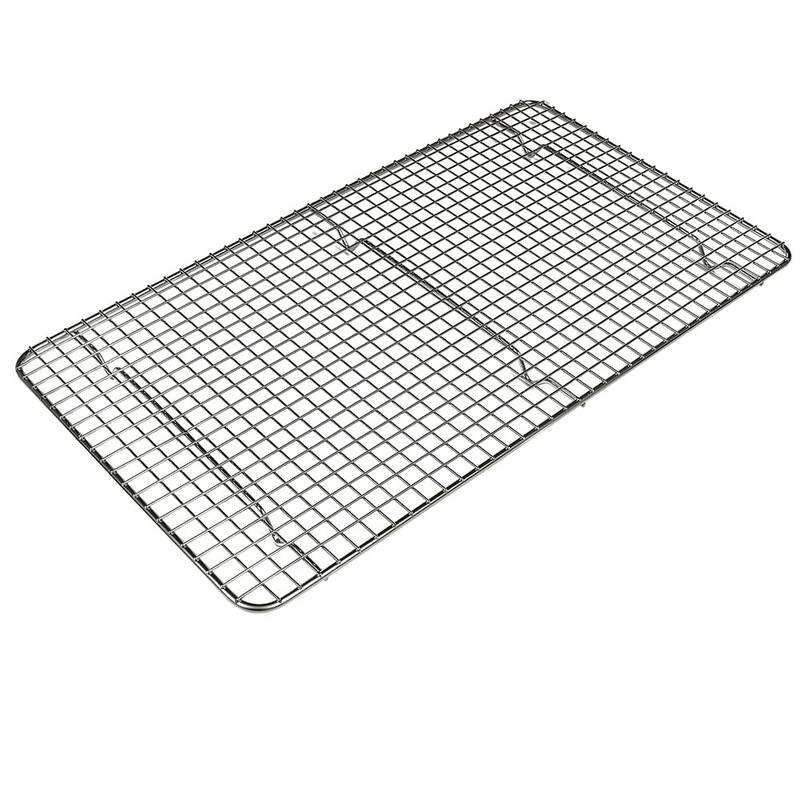 This pan grate from Browne-Halco serves as a great tool for raising foods above the bottom of the pan to prevent them from sitting in juices or sticking to the bottom of the pan. 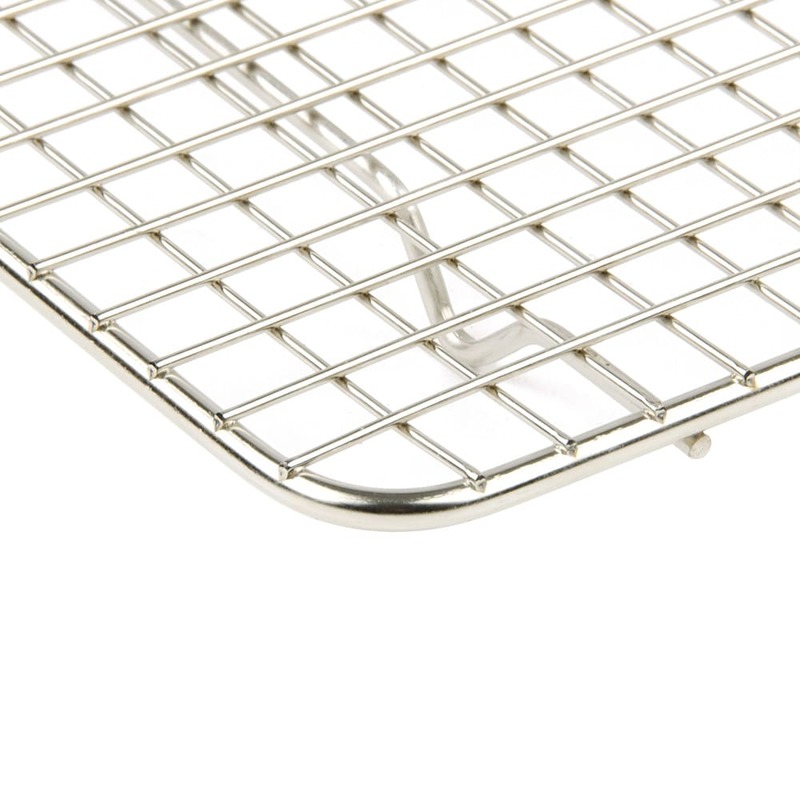 The nickel plated grate is durable and long lasting, resisting corrosion. This pan grate is also footed for better stability and measures 18 x 10 x 7/8 inches which should accommodate a variety of pans. Keep your meats and other delicious foods from getting soggy with this fabulous pan grate! "This works fine as a cooling rack, but it is too long to fit in a half sheet baking pan, so baking with it is nearly impossible." 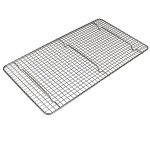 Winco PGW-1018 Wire Pan Grate, 18 x 10.5"